Promoting an ethical cultural is a key leadership responsibility. 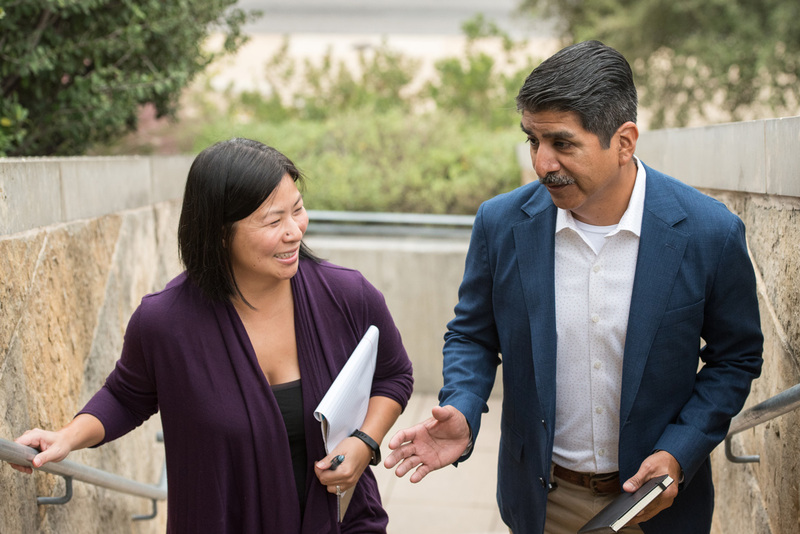 What better time than National Ethics Awareness Month to craft a thoughtful strategy for strengthening the ethical culture of the organization you lead. 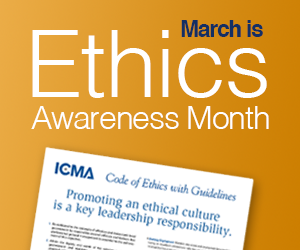 During the month of March, take the time to promote ethical behavior within your organization. Remind your staff that doing the right thing the right way matters. Let your staff know ethics is worth the effort. ICMA offers training and technical assistance on ethics, ethical values, and ethical decision-making. Consider these options this month and throughout the year because maintaining your organization's integrity and the public trust is fundamental.? Ethics 101 e-Course. Online ethics training for local government staff. Learn more. For information on local government ethics workshops and technical assistance services, contact Martha Perego, ICMA ethics director, at 202/962-3668 or mperego@icma.org. Training is available for staff, leadership, elected officials, boards, and commissions. Learn more.
? ICMA University half-day and full day workshop offerings are also available. Learn more.